The 9 days Uganda adventure safari starts today. Breakfast will be served in the morning and the journey to Kibale Forest commences after. Kibale forest national park is about 5 hours from Kampala, we pass through Mubende and Kyenjojo town and then proceed to Fortportal a very clean town covered by Tea and banana plantations. The journey through Fortportal is tour of its own, you get to see Mountains of the Moon “Rwenzori” and this is a good place for photographs. We arrive later and then check in at the lodge. Lunch will be served and then go for a Swamp walk. The walk through the swamp had a lot to offer; you will see locals attending to their farms, primates can also be seen including; black and white colobus monkeys, red tailed monkey, red colobus monkeys, to mention but a few. 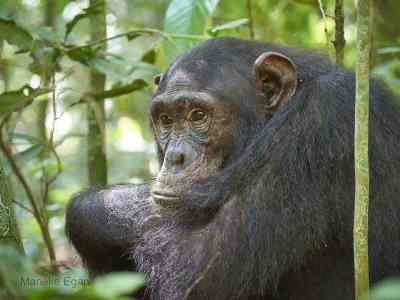 We then retire for dinner in the evening awaiting Chimpanzee trekking the following day. After an early morning breakfast, our driver will drive you to Kanyanchu Visitor center. Here you and other tourists will be briefed and grouped. You group will be given Ranger from Uganda Wildlife Authority. The ranger will track the chimps leading you to them. 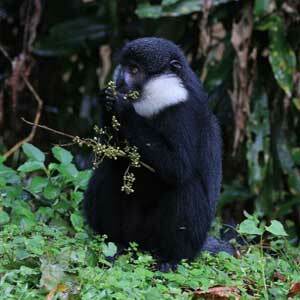 The walk through the forest is amazing, many primates can be seen as we trek for the Chimps. 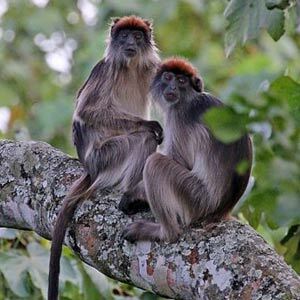 Some primates which can be seen include; Red tailed monkeys, Black and white Colobus monkeys, Grey checked Mangabey, L’Hoest monkeys and many more. 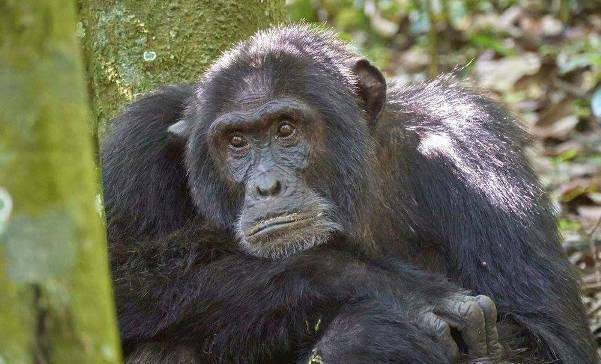 Upon tracking the Chimpanzees, you will then spend 1 good quality hour with them. You will see them play, feed and as they do their daily activities. After the time with the chimps, you will trek back and then proceed to Bigodi Wetland Sanctuary for more primates tracking. In the afternoon after lunch, our guide will take you for an optional Crater walk. End of our Day 2 of the 9 days Uganda safari. Today we head for Queen Elizabeth national park. Our driver guide will pick you from the lodge after breakfast and head to Queen Elizabeth NP. The drive to the park is scenic, you drive on the foothills of Rwenzori mountains and on a clear day, you can see glaciations on the mountains. The drive to Kasese Copper mining town goes through Banana, Tomato, Cotton, Tea plantations. We later arrive and check-in at the lodge for hot Lunch. The evening is packed with activities with a game drive to see Lions, Leopard, Uganda kob, Elephants, Buffaloes, and abundance of bird life. With packed breakfast, we head to Kasenyi open ground for active Game viewing. The morning is a good time to track animals like hyenas, antelopes and many more, you can also be luck and get to see Lions in action (hunt). We then return to the lodge for lunch and then head to Kazinga Channel for a boat cruise to see animals such as Hippos, Crocodiles, Elephants, Buffaloes, etc and also plenty of bird species including; Kingfishers, Fish eagles, Pelicans, African spoon bill, African darters and many more. We return to the lodge for dinner. Today we will head to the southern section of Queen Elizabeth national park. We will drive through Maramagambo forest, the largest rain forest in Uganda. 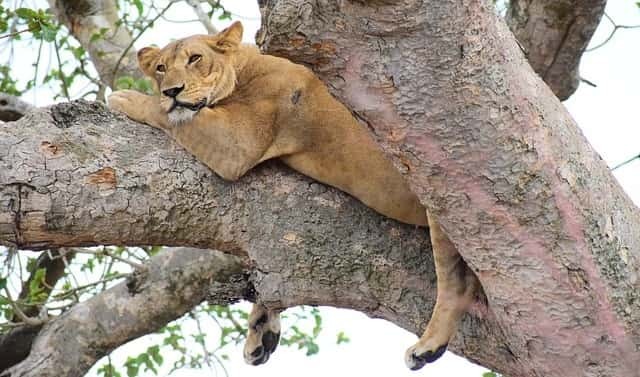 Reaching Ishasha, we go for a game drive and track the famous Tree climbing Lions located in this area and other wildlife including; Topis, Hyenas, Leopard, Elephants, Buffaloes etc. Lunch will be served at the River Camp which is so close to DR Congo. After lunch we head to Bwindi impenetrable National park, driving through hills and mountains of terraced land, mechanized for agriculture. We later arrive and checkin at the lodge and rest for the gorilla trekking day. Gorilla trekking will be done today. Our guide will pick you from the lodge after breakfast and then take you to the Park offices for briefing and Gorilla group allocation. You will be assigned a Game ranger who will use his radio communication gadget to communicate with the gorilla trackers about the location of the gentle giants. Upon locating the gorillas, you will spend 1 hour with the gorillas. 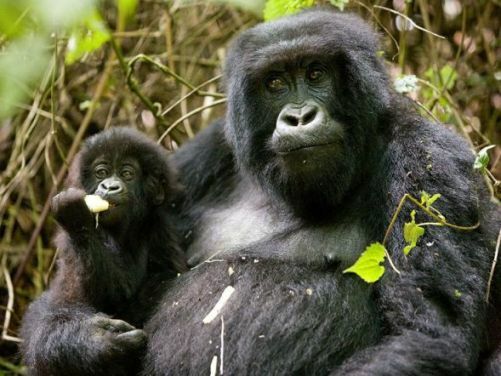 See them feed, young ones play about in the trees or nap before saying goodbye to Bwindi. We return to the park offices for graduation and a certificate will be awarded to you upon finishing the trek and also helping to conserver the endangered primate species. Having finished our Gorilla trekking, today we will go to lake Bunyonyi for relaxation. We will start on the journey further south after breakfast. We drive through terraced rolling hills, farm lands and forest reserves. The scenery as we drive through is unexplainable, just magical. On arrival, we have lunch and then have a relaxing evening. We have optional activities such as; hiking to the view point, Canoeing on the lake, Bird watching, Swimming in the lake, all very possible. We return to the lodge for dinner. Our adventure continues to Lake Mburo National park. We will drive to this park in the morning from lake Bunyonyi in the morning after breakfast. We will arrive in the afternoon for lunch at the lodge. 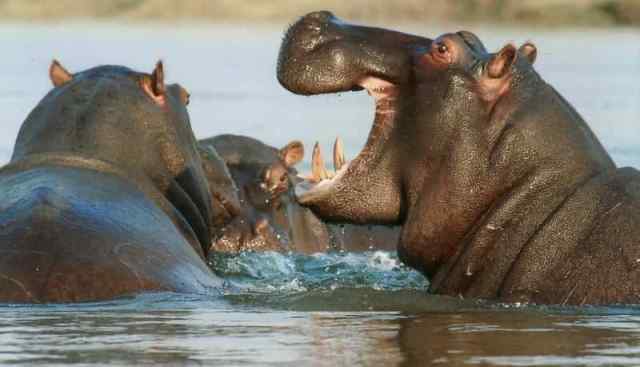 We will go for a Boat ride in the evening to see Hippopotamus, Nile Crocodiles and water birds such as; African fish eagles, King fishers, African finfoot, Long crested eagle, Stalings, among others. After the Boat cruise we will go for a game drive to see wildlife including; Giraffes, Bufallos, Elands, Topi, Impala, Bush bucks, Oribi, Warthogs, Varvet monkeys and Baboons. We then return to the lodge for dinner. 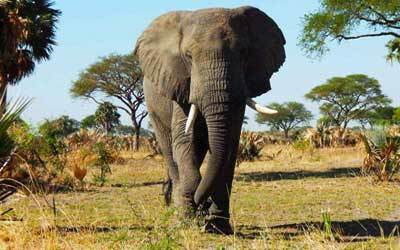 This is the last day of our 9 days Uganda Safari. Though it being the last day, more adventure awaits. From having breakfast, we will have a walking safari with an armed park ranger or we can have another game drive. 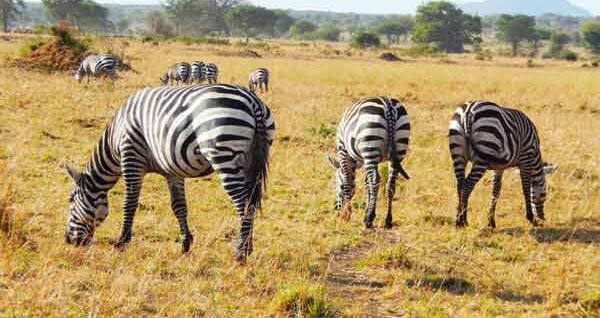 More wildlife will be seen such as; zebras, impala, topi and much more. After we bid farewell to Lake Mburo National park and drive back to Kampala/Entebbe. 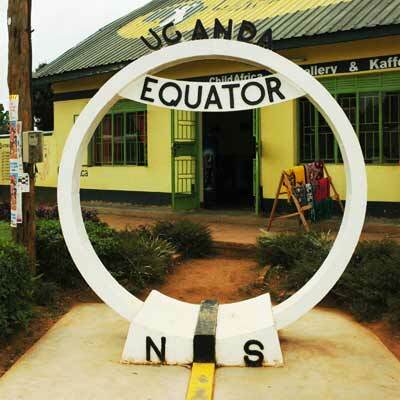 We will stop for lunch on the way and also another stop at the equator for a cup of coffee or tea and also a souvenir before reaching our final desitination in the evening. End or our 9 days Uganda Safari. Note: We can also Tailor the Safari This Uganda Itinerary can also be tailored to suit your desires. We can design the safari to the number of days you want and activities that interest you. Feel free to contact us for more information about the safari. 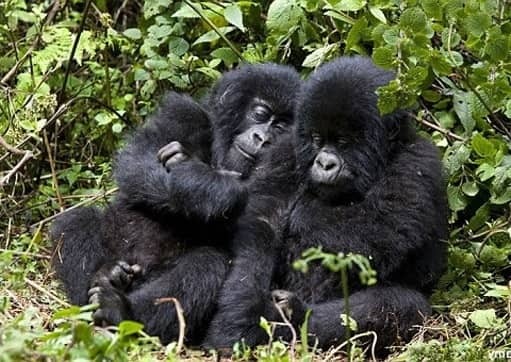 This 8 day tour of Uganda brings you adventure at its best; Gorilla trekking, Chimpanzee tracking, Wildlife adventure in Queen Elizabeth NP and relaxation at lake Bunyonyi. A tour of Uganda in 7 days. Safari highlights: Gorilla and Chimpanzee trekking, Big five animals, Boat cruise, Murchison falls and Wildlife adventure.